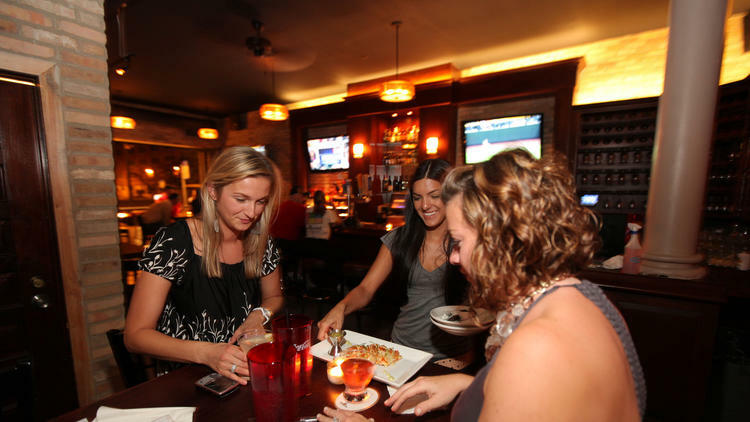 We respond quickly, so please email for any questions or party reservations. Black beans, sour cream, pico de gallo, jalapeños, chihuahua cheese & salsa roja. Prime beef, 1000 Island, lettuce, american cheese, pickles& onions. Tomato sauce, balsamic reduction, olive oil & toast points. Italian Bread crumb breaded w/ side ranch dressing. Honey butter & maple syrup. Cheddar mornay, bacon, green onions, panko crust. Pico de gallo, sour cream, green onions. Avocado, cotija cheese & salsa verde. Fried walleye, cilantro lime creme & green onions. Pico de gallo & cajun mayo. Corn, pico de gallo, lime ranch dressing. Pickled jalapenos & salsa verde. Fried corn tortilla, beans, cheese, salsa verde, sour cream & shredded lettuce. Romaine lettuce, seasoned croutons, asiago cheese & Caesar dressing. Mesclun greens, red onions, tomatoes, croutons & choice of dressing. PRIME BURGERS - All sides served a la carte. Bacon, fried egg & cheddar cheese. Bacon, bbq sauce, onion straws, pickled jalapeños & cheddar cheese. Tomatoes, mozzarella & fried basil. Portabello mushrooms & swiss cheese. Topped w/ carnitas & pickled red onion. 1/4lb patty, American & Swiss cheese, caramelized onions. Served on Texas toast. All burgers served full 1/2 lb or two 1/4 lb smash patties. Substitute grilled or fried chicken breast or portabella mushrooms on any burger (except patty melt). No additional charge. SANDWICHES - All sides served a la carte. Lettuce, tomato, pickles & remulade. Ham, lechon, swiss, pickles & mustard sauce..
Arugula, red peppers, cucumber, goat cheese & balsamic vinaigrette. Cheddar mornay, bacon & chives. 2 Biscuits & house made sausage gravy. Powdered sugar & maple syrup. 2 poached eggs,avocado, arugula, hollandaise, balsamic vinaigrette, English muffin & home fries. 2 poached eggs, short rib, hollandaise, English muffin & home fries. 2 poached eggs, biscuits, house made sausage gravy & home fries. House made sausage, scrambled eggs, pico de gallo, cheddar cheese & home fries. 2 fried eggs, cheddar cheese, bacon, Texas toast & home fries. 2 eggs, 3 slices of bacon, toast & home fries. Seasonal fruit, whipped cream, maple syrup & powdered sugar. Three hour parties for 20 - 100 people. $150 in Racine Plumbing gift cards. $10 Miller Lite Pitchers on game days. List of team members, emails, shirt sizes. 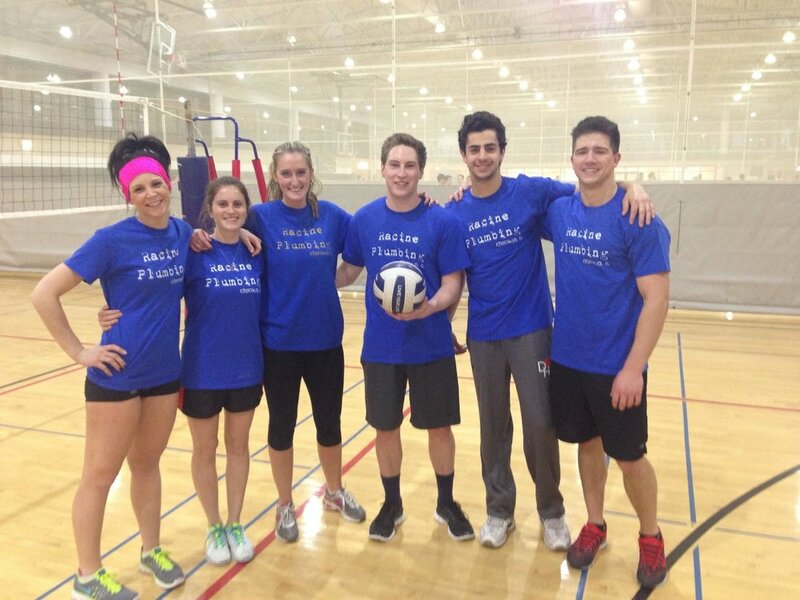 At least 1/2 of the team show up to celebrate after each game. 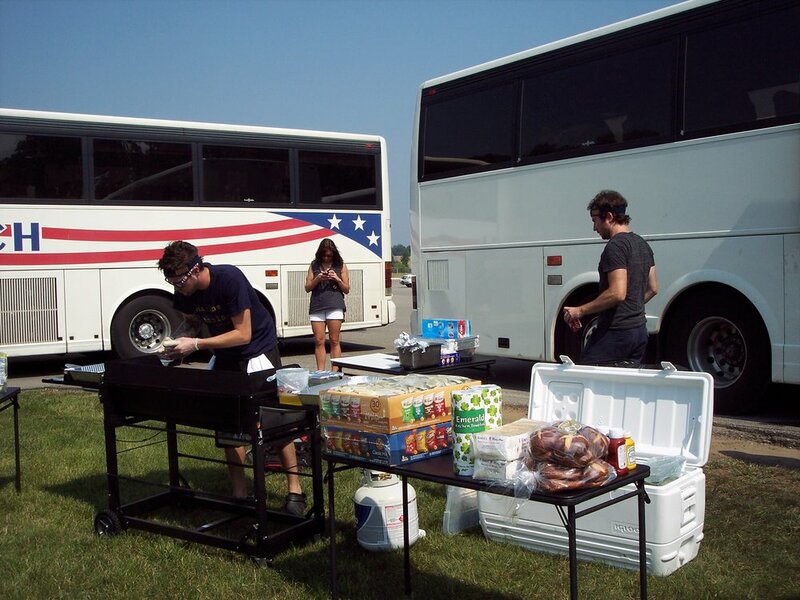 Coach Bus (with bathroom) departs from Racine Plumbing Bar & Grill located at 2642 N. Lincoln, Chicago IL 60614. Bagels, Coffee, Mimosas, Beers & Bloodys before departure. 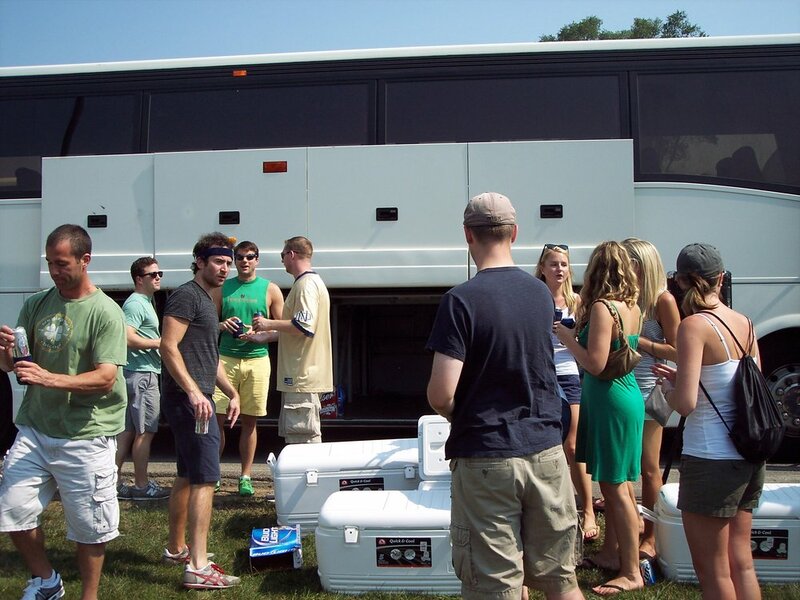 Tailgate in the Innovation Park lot (Between the new Hockey Stadium & Parisi's). Official Notre Dame bar for Chicago game watches. We don't take reservations but we will have every football and basketball game on with volume. Specials vary depending on the day. Welcome to Chicago New York Football Giants! The OFFICIAL New York Giants bar in Chicago and for New York sports is at Racine Plumbing Bar & Grill. Come playoff time we gladly play all other New York games with volume. (Rangers, Mets & Yankees). For more info please visit the Chicago NY Giants website by clicking on the photo..
A.L. Racine opened his Chicago based plumbing business in 1892 at 1426 W. Harrison St. His family helped successfully run it for over 90 years. Mr. Racine passed away at the age of 54, but each one of his six children played an important role in keeping the business thriving until the mid 1980's. 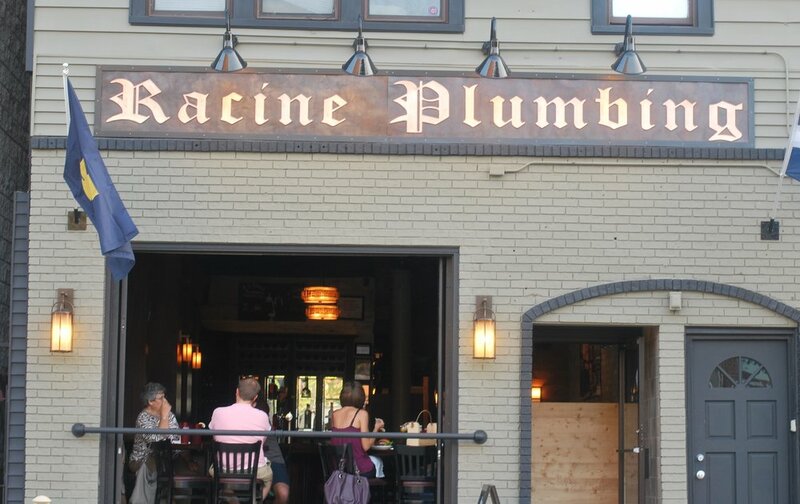 The present day Racine Plumbing is a Bar & Grill located in Lincoln Park. 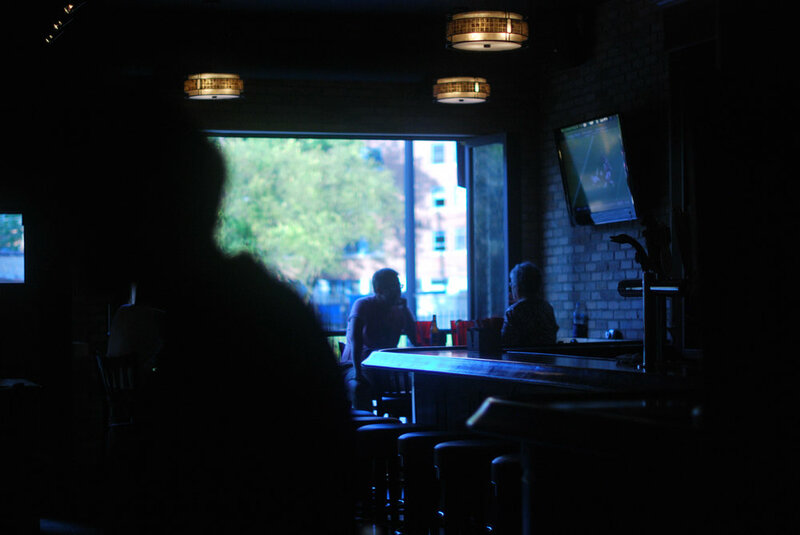 We have created a refined neighborhood sports bar with the intention of honoring a once long running family business. The Head Chef Yefim Kovalzon, created a unique and contemporary bar cuisine. 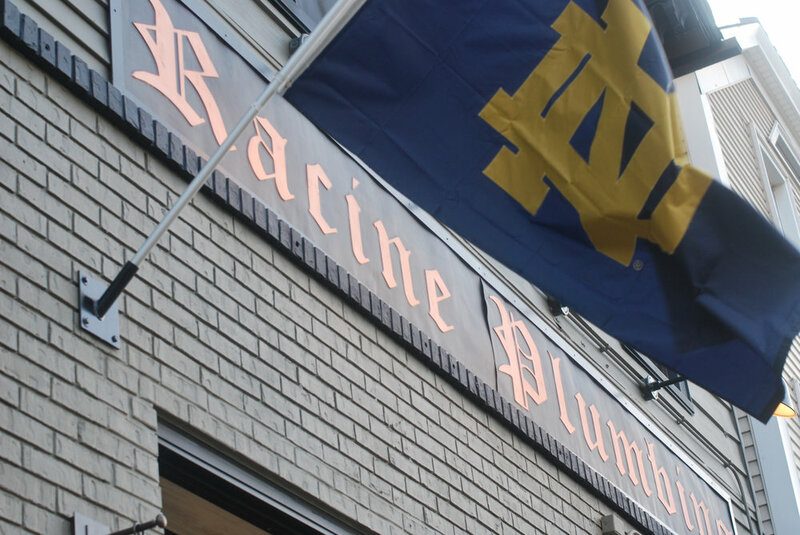 Racine Plumbing provides a warm, friendly and relaxing place to enjoy a beer and a burger, take in a game on one of our many flat screen TVs or just hang out with friends.